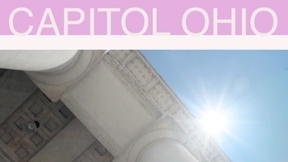 The Ohio Statehouse is located on a 10-acre plot in the heart of the capital city of Columbus. Completed in 1861, Ohio's Capitol Building is considered to be one of the most significant architectural accomplishments of the early republic. Its Greek Revival architectural details and proportions give the impression of permanence, elegance and grandeur deserved by the original State Legislature, which passed a law on January 26, 1838 to build the new Statehouse. Restored to its 1861 appearance, the Ohio Statehouse maintains its historic character as it continues to function as the center of state government in Ohio. Take a virtual tour through the building to experience some of the wonderful history and architectural features that this magnificent structure has to offer.